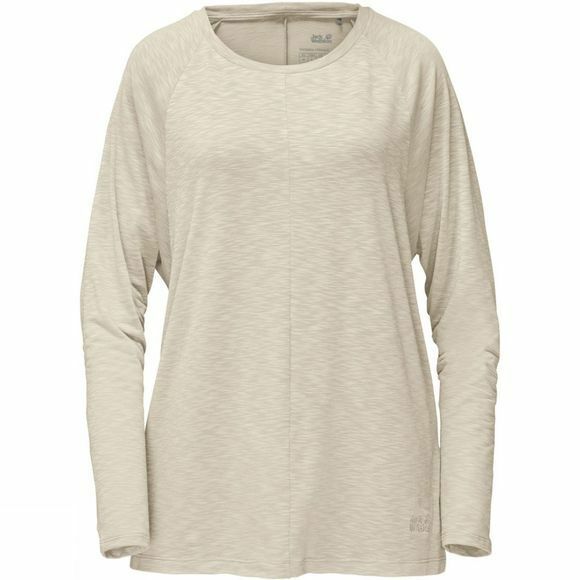 The Womens Travel Longsleeve T-Shirt from Jack Wolfskin is a handy top to have for that unexpected drop in temperature or cooler days at home. It has a wide and airy fit, and the batwing sleeves suit the style perfectly. The light jersey fabric is breathable and minimises unpleasant odours.